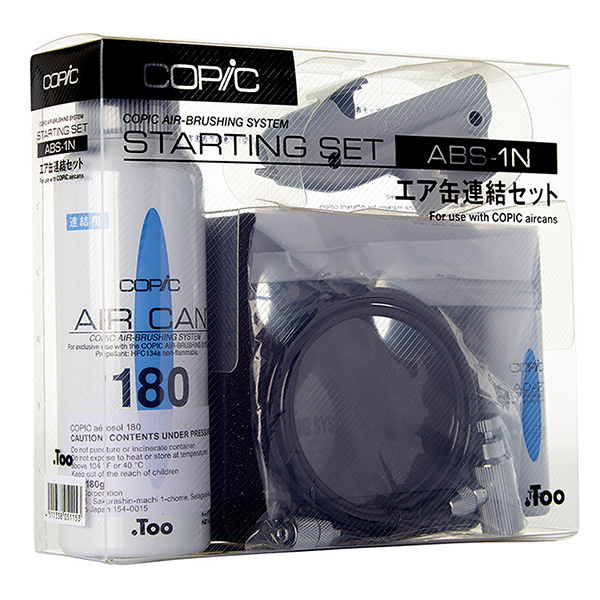 The Copic Airbrush Starter Set allows you to convert Copic or Sketch markers into an airbrush. Simply insert the marker's broad tip into the air grip and connect to an air can or compressor. 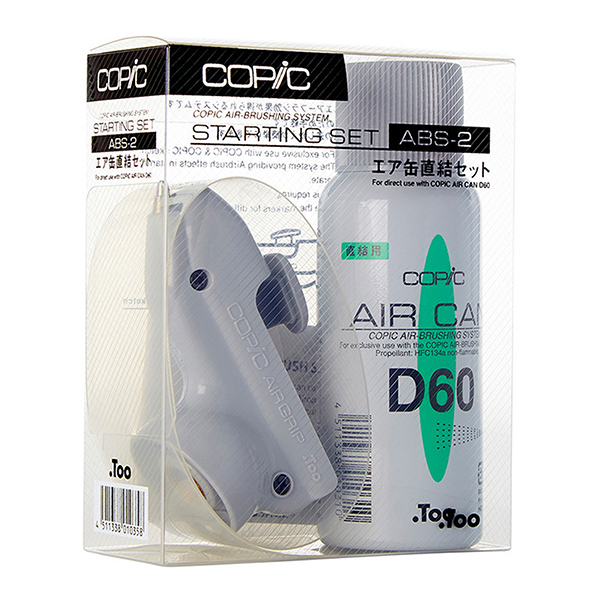 The Copic Airbrush Starter set is lightweight, portable, easy to use and perfect for creating backgrounds and filling larger areas. ABS1N set is a complete airbrush system and the most cost-effective, just add your markers. It includes the Airgrip, Aircan 180 (45 minutes of air), the Air Adapter, Airhose and can holder. The Air Adapter can also be used with an air compressor. ABS2 is a great starter set if you want to try airbrushing without the big investment. 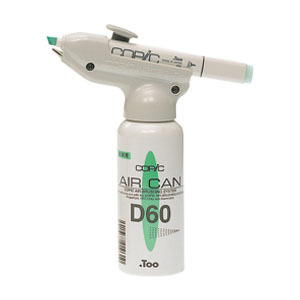 It includes the Air Grip and the Air Can D60. ABS3 is for those who know they will use the airbrush consistently and want to pair it with an air compressor. The set includes the Air Grip and Air Adaptor.